A devastating mine accident has claimed the life of Rosemary Brennan’s husband, Jack, along with nearly all the men of Wildcat Ridge. The mine owner, Mortimer Crane, has given the widows an ultimatum—find husbands or he will evict them from their homes and businesses. Desperate to keep the assay office that Jack had managed, Rosemary heads into the hills in search of an old Spanish mine called The Floriana in the hope she can lay claim to a bonanza of gold. Ex-U.S. Deputy Marshal Miles McGinty arrives in Wildcat Ridge to pay his respects to Brennan’s widow. He and Jack had a history, and Miles is heartsick over the loss of the young man he had come to think of as a brother. When he learns of Rosemary’s problems with the piggish Crane, he will do anything to help her—even offering marriage. 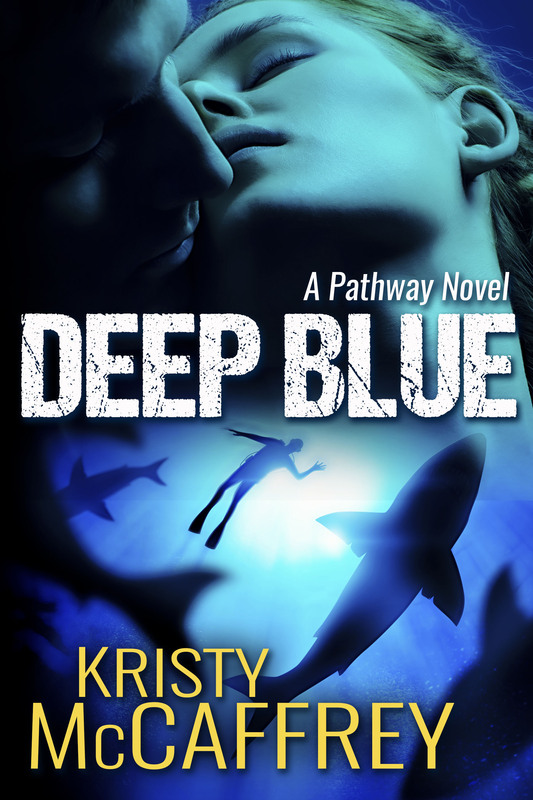 But when it becomes clear that Crane knew of Jack’s criminal past and was blackmailing him over it, Miles must decide whether to tell Rosemary the truth, because doing so may drive her away. And to his surprise, Miles has fallen in love with his new wife. Read all the books in the series. Learn more here. “…Rosemary may be one of my favorite in the Widows of Wildcat Ridge series.” ~ Janet L.
Rosemary knelt on the ground near her house, digging for the carrots she had planted earlier in the summer. Gardening had offered a sliver of solace after the mining accident at the end of March that had taken the lives of so many men in Wildcat Ridge, including that of her husband, Jack. She pulled a cluster of medium-sized carrots free and brushed the dirt away with her gloved hand. The raw vegetable smell of wet soil, signaling health and new life, triggered a longing in Rosemary to finally climb from the muck of grief that had consumed her these past months. “What are you going to do?” Cora asked, blowing a strand of brown hair away from her face as she dug out potato after potato and set them in a basket. There had been days when Cora Drummond’s cheery and irreverent attitude had been the only thing that had moved Rosemary to rise from bed and clothe herself. And just today Rosemary finally had shed the black garments of grieving, wearing a lemon shirtwaist and brown skirt that Jack had chided made her look like a housemaid. His teasing had both humored and irritated her, and how she missed it. She mentally pushed back at the bubble of despair welling up inside her chest. “I don’t know.” Rosemary sat on her haunches and wiped her forehead with the back of her hand. It was late afternoon, and the day had been warm. Cora had insisted the garden needed to be plucked, and with so little work for Rosemary at the Assay Office, it was good to feel useful. Cora’s husband, Charles, was currently in Salt Lake City trying to set up a new dental practice, so with much spare time, Cora kept many of the widows company, helping where she could. Rosemary shook her head, trying to suppress her snort of disgust so as not to hurt Cora’s feelings. Her friend hadn’t been forced into the same desperate situation as the other widows in town—her husband was still alive and well, and she was but a few weeks from joining him in Salt Lake City. “You are so fanciful, my friend,” Rosemary said gently. “Well, this is good news,” Cora responded, her voice filled with the kind of praise a parent reserved for a child who had done well on their homework. There were times when Cora seemed far older at twenty-five, despite Rosemary being only four years younger. “Jack was always talking about the Old Spanish Mines that were supposedly in this area. He and I both loved geology, and he would often go traipsing around in the countryside. Sometimes I would accompany him, but often he would go alone. He did like his solitude.” Sadness bubbled to the surface. Five months. Jack had been gone only five months. It felt like a lifetime. Rosemary cleared her throat. She had been stuck in limbo all summer long, unable to decide about anything. But not anymore. She paused again, blinking back tears. “It won’t always be so hard.” Cora’s soft tone was filled with compassion. But as much as Rosemary adored Cora and cherished their friendship, her friend hadn’t lost a husband on that fateful March day. She couldn’t truly understand. But maybe that was why Rosemary had leaned on Cora more than ever during this difficult time. The other widows had been juggling equal amounts of grief, desperation, and relief. Not all marriages had been happy ones. But Rosemary had loved Jack, and although they’d been married only a short time, she was still reeling from the loss. “But what if it’s true? Look at what Braxton Gamble found.” During the summer, before he had married Priscilla Heartsel, who had lost both a husband and a father in the mine explosion, Braxton had stumbled across an old and very promising Spanish mine in the hills south of town. He was currently in the process of getting it up and running. Doubt shadowed Cora’s gaze. Rosemary couldn’t fault her. Convincing Crane to renew her lease without the promise of a man taking over was likely nigh to impossible. Still, she had to try. But first, she needed a windfall of credit to make it happen. Confused by Cora’s response, Rosemary frowned at her friend. “I don’t think you should be running around the hills alone with these types of men loose,” Cora clarified. “I suppose. But if you find nothing, then please return quickly. And it’s not the end of the world if you lose the Assay Office. If you lose this place—” she gave a nod toward the small house “—then you can come live with me. And you can even come to Salt Lake City when I join Charles. You don’t have to stay here. “I know, but it’s my home.” And Jack is buried in the cemetery. He was one of the few to have a headstone and a proper resting place. Unfortunately, many of the remains had been impossible to identify. But if Crane took her business, Rosemary knew that she wouldn’t be able to stay. She could certainly take up Cora’s offer, but she didn’t want to. Her only other option would be to contact her father, but that was the last thing she wanted to do. Although she hadn’t seen in him in over three years, she had heard from her Aunt Louisa that he hadn’t approved of Rosemary’s hasty marriage to Jack, or of Jack himself. And he had conveyed his displeasure that his only daughter would move to the middle of nowhere in the Utah Territory. 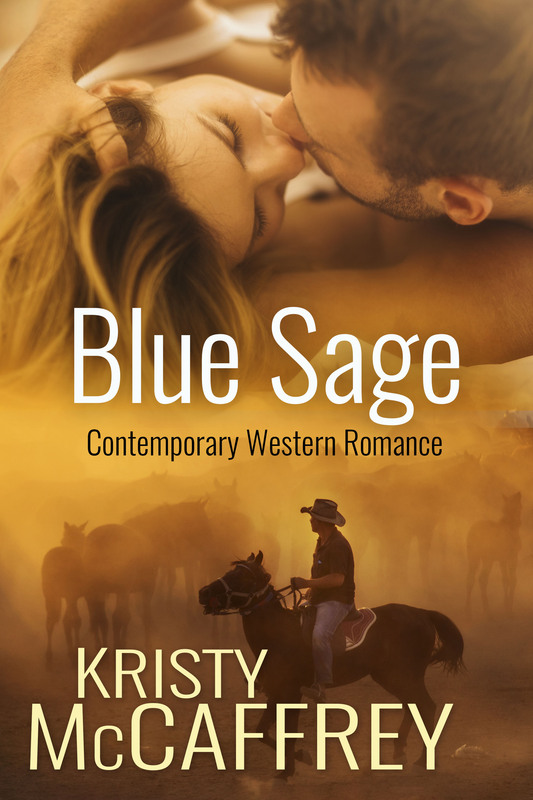 But Rosemary hadn’t just fallen in love with Jack; she had also found a connection to the people and locale of Wildcat Ridge. The wilderness was a balm to her soul, and despite the hardships that she and Jack, and many others, had endured to eke out a living here, she had found a place that called to something deep inside her. And even more so now. The tragic loss of so many men—including her own love—had prompted many townsfolk to leave. But with those who had stayed, Rosemary felt an especially close kinship. She wasn’t ready to give up yet. As soon as Miles McGinty entered the outskirts of Wildcat Ridge, people stared. And all were women. He supposed the town was small enough that a stranger riding in would cause a stir of interest, and he did his best to smile and tip his hat as his horse trotted down Front Street, but after the thirtieth time he’d done it he began to wonder two things: Had his mama forgotten to tell him he was so homely as to draw unwarranted attention? Or was the opposite true, and had he suddenly become irresistible to those of the female persuasion? He suppressed a grin at both thoughts. He was likely somewhere in the middle. These ladies must simply know the comings and goings of every man, woman, and child in town, so he was currently sticking out like a sore thumb. As he rode and scanned the buildings, he did his best to ignore the scrutiny. When he came to a cross street, he turned to the right, guessing that the business he sought would be located near the abandoned mine in town. And it was. On the corner of the next street over was the Assay Office. He dismounted, looped the reins of his horse, Pearl, on the hitching rail, and knocked his Stetson up a notch so that he could see better. A CLOSED sign hung in the window. He glanced around. A woman with brown hair and a curious gaze watched him from the bridge across the creek. He gave a nod and approached her. “Are you a friend?” She fiddled with the closed parasol in her hand. “Rosemary never said anything about your letter,” she continued, squinting at him. “He was like a brother to me.” Again, he could barely squeeze the words out. He rubbed a hand at the back of his neck to shake the stark loss of Jack. Except that Jack’s real name was Johnny Briggs. But Miles doubted anyone here knew that. Johnny had wanted a fresh start, and Miles had been quietly supportive. He’d had a chance to help a young man in a way he hadn’t been able to with his own brother, Billy. “Where have you come from?” Mrs. Drummond asked. She was sizing him up, wondering if he were trustworthy. In a way, it warmed his heart that Jack had found a place with friends such as this. “Yes. She was planning to head out on Sunday but then had to wait on a horse, so she departed town on Monday. She was supposed to return a few days later, but now it’s Friday.” She stopped and took a deep breath. She nodded. “I can tell you generally, but I really don’t know the exact location.” Her voice rose in distress. Rosemary peered through a large bush at the two unkempt men sitting just beyond. Shivering from the late afternoon chill, she pulled her duster more tightly around her and glanced up at the foreboding clouds gathering, blue sky quickly losing ground to gray thunderclouds. Her time in the hills had produced a few promising clues as to the whereabouts of The Floriana Mine, along with a handful of samples she wanted to test. This had buoyed her flagging spirits, because she had quickly become overwhelmed by the wild and vast backcountry. She had relied on Jack during their time spent in the wilderness, and it was clear now how much she had leaned on him. To worsen matters, yesterday she’d lost Madge, the horse that Buster had loaned her. Her run of bad luck had started when she’d fed the animal a carefully measured portion of oats, and when more wasn’t quickly forthcoming—supplies needing to be rationed—the contrary beast had bitten Rosemary on the neck just below the ear. The ensuing melee between woman and horse had caused Madge to bolt. Rosemary grimaced from the discomfort of the wound, although thankfully there had been little blood. It was more the guilt she felt that pained her. Heartbroken over losing the animal, Rosemary had frantically searched for her. Not only had she not located the horse, but she had become so disoriented that she was now well and truly lost. She hoped Madge, despite being a mite temperamental, would be all right, and Rosemary added a silent prayer that she still might locate her. Rosemary’s heart squeezed, not just for the horse but for having to tell Buster that she’d been so stupid as to lose the critter, not to mention that her samples were in the saddlebags. On the horse. She had been overly confident in her abilities, that was certain. Her father had taught her surveying, and Jack had taught her how to read the land, but she had not been out on her own. All night, she had ruminated over where she might have gone wrong, but the truth was that it had been shockingly easy to lose her focus in her frantic bid to find Madge. Only too late Rosemary had realized her error. Taking a steadying breath, she willed her frantic thoughts into submission. It’s only been one day since I became lost. Madge must be around here somewhere. And while Rosemary was cold and hungry, she just needed a little help. And stumbling across these two men was a possible answer to her silent pleas to the Good Lord upstairs. And yet, she held back from approaching them. They were clearly prospectors. She had met such men while assisting Jack in the Assay Office, and while most weren’t the bad sort, some niggle of doubt kept her from leaving the safety of her shrub. I fear many aren’t gentlemen. Cora’s words echoed in her ears. But Rosemary had no choice. No one would come looking for her. 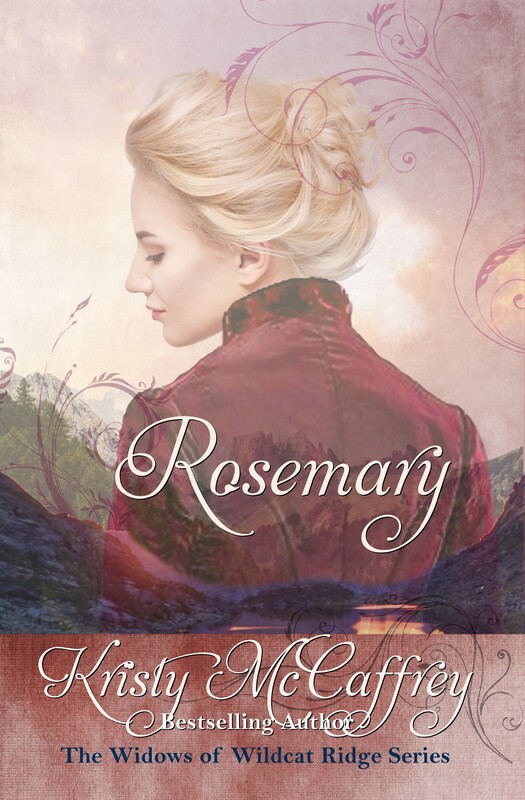 Even if Cora went to Marshal Wentz for help, she really had no idea where Rosemary had gone. It had been foolish to come out here. But what choice had she had? Before she could talk herself out of it, she left her hiding place. Cognizant of not having the six-shooter—that, too, was with the horse—she walked slowly forward, ready to run if need be. He pushed to his feet, and then his friend did the same. Although both appeared to have been living in the wilderness for quite some time, upon closer inspection they were both younger than Rosemary had assumed. More alarm bells went off in her head, but she forged ahead with her intention of asking for help. The first prospector frowned, his eyes squinting in suspicion. “Who are you?” he asked, his bedraggled beard bobbing as he spoke. When the prospector’s eyes widened with recognition, she halted her forward movement. “Who claimed it?” she asked. Why would Crane stake a claim when Jack’s assays had showed the land to be worthless? “We don’t want nothin’ to do with you.” Bedraggled beard shifted a bulge in his cheek and spit brown tobacco juice onto the ground. For a moment, Rosemary stood rooted in place. It was clear these men wouldn’t help her, and frankly, she didn’t want them to. But she couldn’t keep wandering the countryside. With a storm threatening, the ensuing cold spell could put her in more dire circumstances soon if these men abandoned her. “Hey, Alvin,” filthy hat said, eyeing her up and down. The back of Rosemary’s neck tingled. Run. Just run. She took a step back, and then another. “What if we keep her?” the other one said. Rosemary didn’t bother to defend herself, knowing her refutations would be useless. Instead, she continued moving backwards, one tiny step at a time. Hector spied her retreat and walked quickly toward her. She turned and took off running. Fear gave her a burst of energy, briefly staving off her weakened state. Lifting her skirt, she moved downhill and through a copse of pines, but her petticoats caught on a fallen log and she tripped, flying face forward and hitting the ground hard. Stunned, she struggled to breathe. A glance back showed Hector in swift pursuit. Shocked by his speed, she pushed upright and resumed her scramble to escape. As she came around a thicket, she nearly slammed into her horse. The horse nickered and danced in nervousness. Rosemary ran a hand along her neck, reassured that the animal appeared unhurt. She quickly retrieved her six-shooter and readied it. She heard a loud thump and a scuffle. With the weapon raised, she backtracked her escape path. She didn’t miss the flash of amusement in his eyes before he flicked his gaze back to the two prospectors. 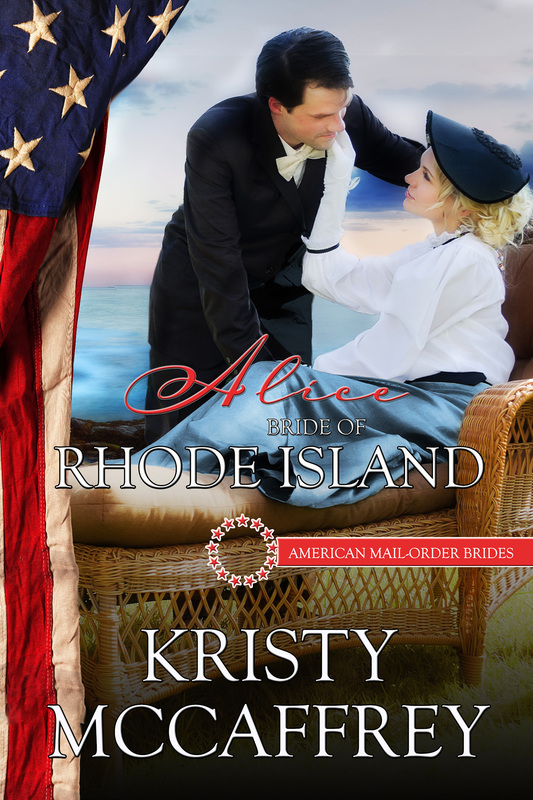 “I most certainly am not his wife,” she answered, her voice shaky. She placed the gun in her coat pocket, and then wrung her hands together. She’d never shot a man before, and she didn’t much care for it. Hector stood, clearly none the worse for wear, except he looked irritated that he could stand on both of his legs. “Well, I’m pressing charges against you.” He pointed at Mr. McGinty. Rosemary caught herself staring at the stranger’s rugged profile. He’d lost his hat in the scuffle. His dark hair was short and mussed, and his chin was sporting a dark stubble. “It’s up to her.” McGinty angled his head in her direction. Still trying to get her nerves under control, Rosemary wanted nothing more than to be rid of Alvin and the especially vile Hector. But her only option was this stranger. Was she trading one bad situation for another? The two men loped away. When they were out of view, McGinty lowered his firearm and approached her. She nodded, noticing that his brown eyes held a hint of amber as he came closer. He nodded. “My thanks for not shooting me.” A slight smile tugged at his lips. Comprehension washed through her. “Oh my ….” Her hand came to her chest. “I’m so terribly sorry. I could have hurt you. I don’t know what I was thinking. Jack taught me to shoot bottles, not people.” Her throat tightened and tears rushed to her eyes. She flashed him a look of confusion. McGinty walked with her to retrieve both his horse and Madge, then he helped her feed the animal. They removed the saddle and brushed her, and he led both horses to a stream to drink. Rosemary would be sleeping under the stars with a strange man and no chaperone. She should be shocked and mortified, but she wasn’t. She was a widow. She was no naïve maiden. And she’d barely avoided whatever may have occurred at the hands of Hector. The thought sent a shiver through her. If townsfolk gossiped about her and McGinty, then let them. He had helped her. He was Jack’s friend, and truthfully, it would be nice to catch up with him, to be with someone who had known her husband, someone who might feel a sliver of the grief she felt from losing Jack Brennan. McGinty saddled Madge again and helped Rosemary onto the animal, and then he began leading her home.